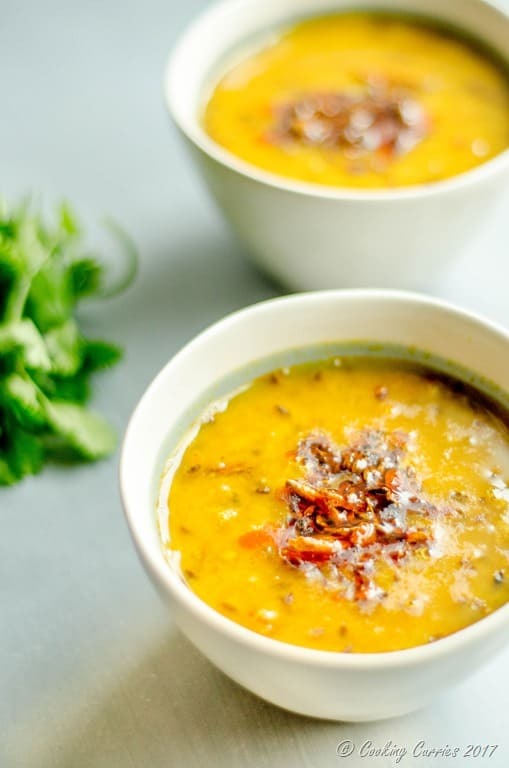 Quick and easy lasooni moong dal recipe with the goodness of garlic in it! Perfect with some rice for a weeknight dinner! Of all the lentils that us Indians use for making the various dal recipes that we make, moong dal is my absolute favorite. 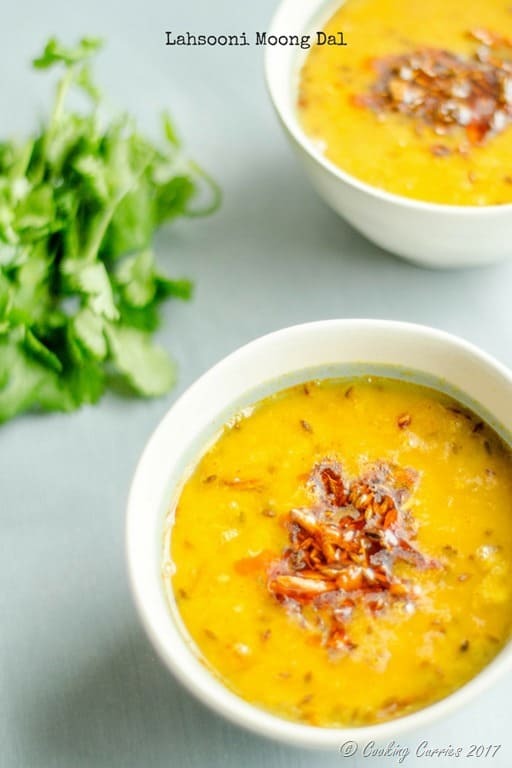 It is one of the easiest dal to cook – it cooks pretty quickly, even without a pressure cooker and its pretty easy on the stomach too. 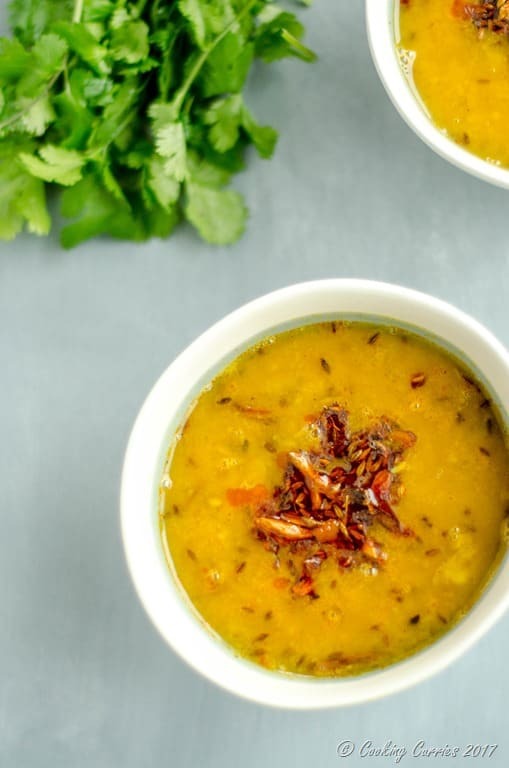 Moong dal has a subtle earthy taste to it that it can take on any kind of flavoring added to it, while also have that body of flavors to stand up to strong flavors like that of garlic. 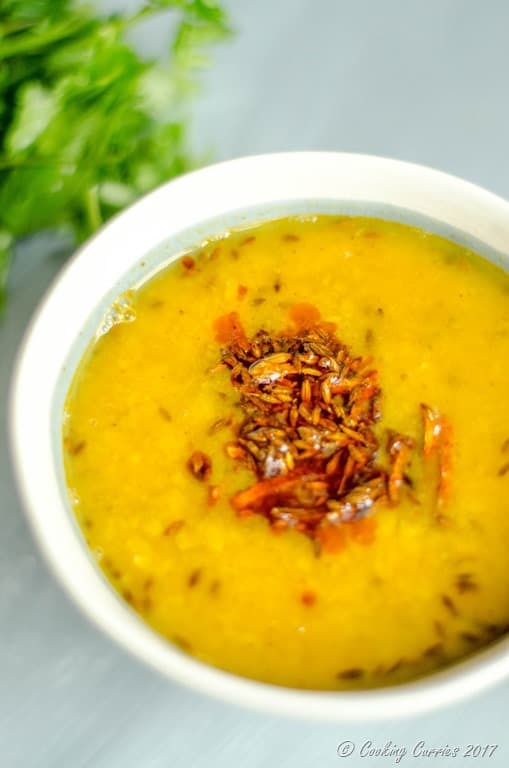 This Lahsooni Moong Dal (lahsoon = dal, in Hindi) or Lasuni Moong Dal or Garlicky Moong Dal is sort of like a dal with garlic two ways – garlic cloves are cooked along with the dal and turmeric and the garlic is also crisped up in a tadka, a tempered seasoning of cumin seeds, garlic and cayenne fried in fat of your choice. Ghee, obviously has the best taste, but you can use oil as well. Quick and easy moong dal recipe with the goodness of garlic in it! Perfect with some rice for a weeknight dinner! Wash the moong dal well and cook with the rest of the ingredients - turmeric powder, garlic, ginger, green chillies, tomato and salt along with about 2 -3 cups of water. Cook till the dal is well cooked and mushy. Mash the dal with the back of a spoon till its all a homogeneous mixture. Heat the oil for the seasoning / tadka in a pan and add the cumin seeds to it. Once it splutters, add the red chilli powder and the garlic slices. Remove from heat and let the garlic slices become crispy in the hot oil. 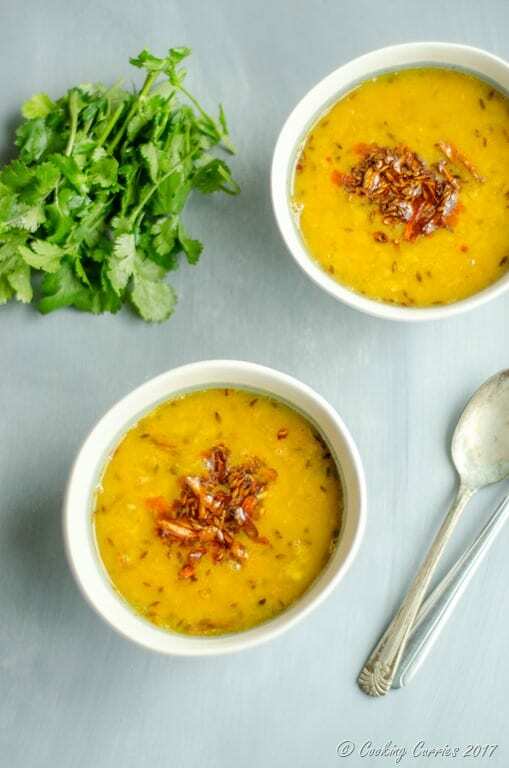 Pour this over the dal mixture and serve immediately with rotis or rice.